If you let a walker soak in water for too long. This is what happens. Hey everyone, thanks for hanging in there all summer. 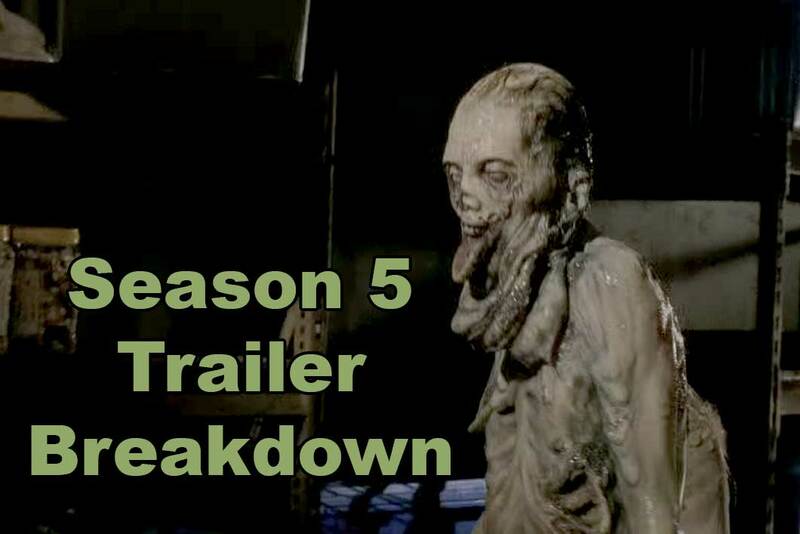 We're back and jumping into the world of The Walking Dead with a breakdown and analysis of the Season 5 trailer presented at the San Diego comic-con this past July. You can listen to the podcast by clicking the play button above or on iTunes or Stitcher. Pleeeeeeeeease do a new podcast.. I’m sure you could do a whole show on the season 5 trailer and speculations about that, heck.. I don’t even care if you talk about how your summer has gone. Your people miss you!! We will be attending the Atlanta Walker Stalker Con. We'll be there from the 17-20 of October. On Friday Oct. 17 8pm there will be a podcasting meetup with us and a bunch of other walking dead podcasters. The venue is not certain yet but it will be close to the convention center. On Monday Oct. 20. We'll be going on the Atlanta Movie Tours tour to see various Walking Dead filming locations. There are two tours that day and we'll be doing both (9:30am and 2:30pm). We'll also be attending the San Francisco Walker Stalker Con on Jan 31/Feb 1 – 2015. “I just hope you understand, we didn't want to hurt you. Nothing was personal” – Gareth, to Rick. “You don’t have a choice, all of you. You join us, and we go to washington to cure this thing” – Gareth. “We're not splitting up, we don't know what’s coming next” – Unknown voice. “You show up and three of us are gone” – Sasha to Abraham. “No matter what anyone says, no matter what you think, you, are not safe” – Rick to Carl. “Where are our people!” – Sasha yelling to someone.